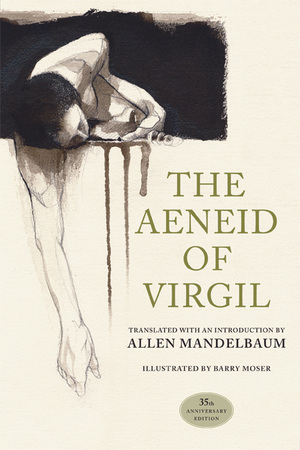 This deluxe edition of Virgil's epic poems, recounting the wanderings of Aeneas and his companions after the fall of Troy, contains an introduction by Allen Mandelbaum and fourteen powerful renderings created by Barry Moser to illustrate this volume. Renowned translator Allen Mandelbaum is W. R. Kenan, Jr., Professor of Humanities at Wake Forest University and author of several books including Lectura Dantis. National Book Award-winning artist and booksmith Barry Moser is the acclaimed illustrator of more than three hundred books. He is currently Professor in Residence and Printer at Smith College. His work has been exhibited at the British Museum, the Metropolitan Museum, and the Library of Congress.